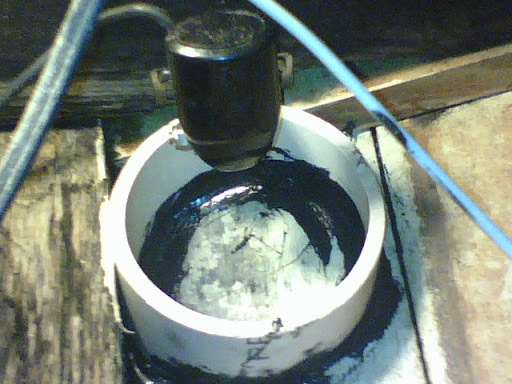 I have an through hull Airmar speed/depth transducer connected to Furuno instruments. The speed function of the transducer is provided by a paddle which I am for ever having to pull out and clean, and even then it rarely shows even close to the correct boat speed through the water. I would like to replace this transducer with a full ultrasonic speed/depth unit but haven't been able to find a transducer with both ultrasonic speed and ultrasonic depth in the one unit. Airmar seem to have only separate ultrasonic transducers for speed and depth which means a haul out and another through hull to install. Appreciate any advice on replacing this transducer with a full ultrasonic unit? Also, normal through hull ultrasonic depth transducers seem to work just as well from inside the hull as long as there is a fluid between the transducer end and the hull, eg water or vaseline, or something like that. Has anyone done this as a permanent installation? Here's what I would do: Replace your thru hull unit with your ultrasonic unit, then put an inside the hull unit in for depth. This assumes you have a solid glass hull. You can try the unit out by using KY or something similar and placing it on the hull. An alternative is to drill the thru hull while in the water. It's scary, but not all THAT bad. This also assumes you have a solid hull with no core. A cheap portable drill is all you need (you will likely kill it when you punch thru, and you don't want to use a 110v drill). The heal of your foot over the hole or your hand will seal it once you punch thru. Then have a diver friend push the thru hull with a plug in it thru the hole, haul it in, and seal it. Use an in-the-water sealant. Others might chime in here. Remember, hydrostatic pressure is your friend. If you are 2 feet under water, you have 2 feet of hydrostatic pressure. Imagine a piece of 3" PVC filled with water, and your hand under it. That's all the pressure/volume you are getting. Barrie, I don't. You might try emailing Faruno and asking them. You could try Dave's Marine Electronics. I bought stuff from Dave a few times and always got excellent service and prices. took a 4 inch PVC p[ipe and cut at an angle and glued to inner hull. then packed it with toilet seal wax, 2 rings worth of wax. It is working fine and shoots thru the wood. I mounted it using the transom bracket.